We definitely recommend snorkeling in Bali! 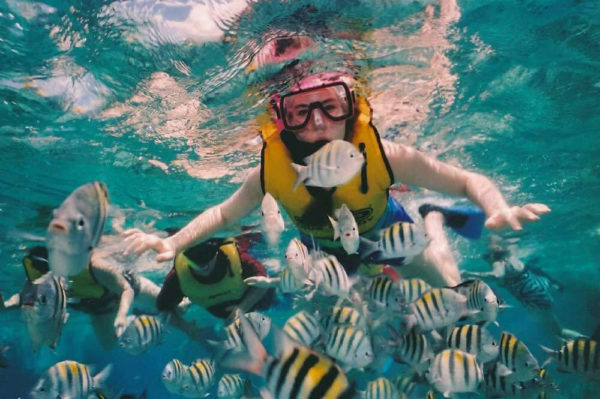 Snorkeling is a popular recreational activity that is done all over the island. 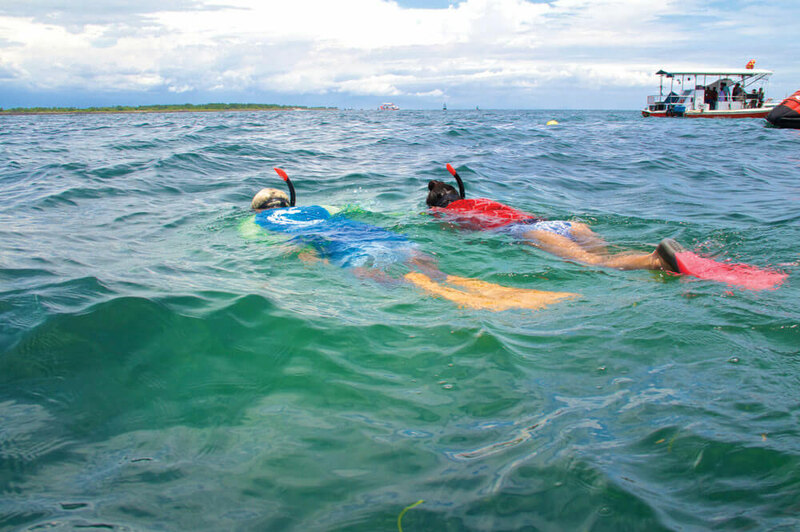 You will swim or float in the water with diving goggles and a snorkel, while keeping your face down. 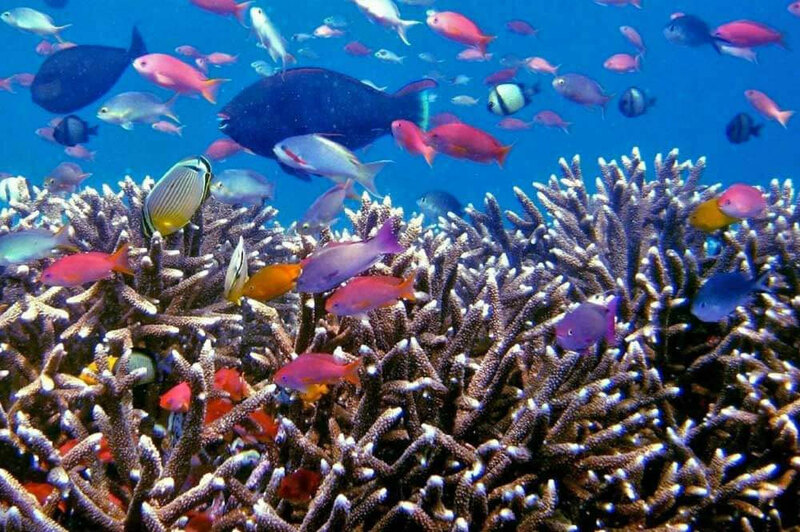 You are free to dive deeper if you would like as well! Nusa Dua in Bali has a wonderful bay suitable for swimming and snorkeling. Discover the underwater world and admire all the colourful coral fishes. 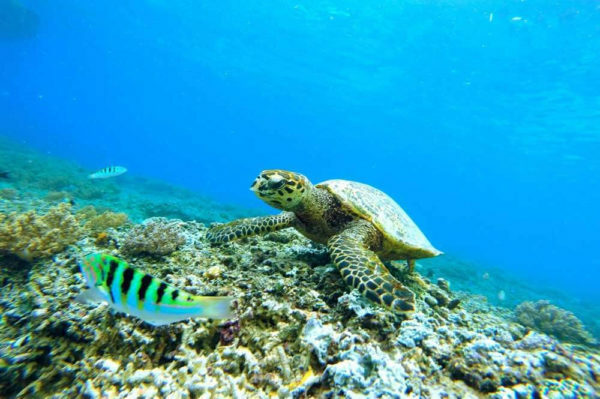 The best time for snorkeling: 08:00 am – 12:00 am (avoiding the low tide, the sun getting hotter, and at that hour the sea water is so clear). Wow just wow!! We saw so many fish in the water! The water was warm and the instructors were really nice and helpful!